The NZTA exists to create transport solutions for a thriving New Zealand. They believe that this can be achieved more effectively when they bring an understanding of location to every transport decision maker. NZTA’s goal is to make it easy for their staff and partners to think differently and act differently empowered with an insight that only a location-perspective can bring. A significant change was needed. In 2012 NZTA signed up to strategically approach spatial enabling the agency. This was focused on how many people can be enabled and how many decisions can be improved; not how spatially enabled can make one person through a technically brilliant solution. Traverse are proud members of NZTA's preferred geospatial vendor panel and are regularly engaged on an as needed basis. Since 2014, Traverse have delivered system administration services, quality assurance services and data integration projects. Importantly, we provided technical leadership and quality assurance services through the Enterprise Geospatial Capability Project Implementation State I (2014) and Stage II (2017). Depending on the nature of the project and the expected outcomes, we will use the Traverse process to understand the scope, design, implement and handover a technical solution. As part of their strategic approach to spatial enablement, NZTA established a central coordinating geospatial team and technology platform based on Esri's ArcGIS Platform, they call it MapHub. MapHub's configurable and reusable application templates has enabled the geospatial team to spend more time engaging the business and less time developing technical solutions. However, this has not been without challenges. After MapHub had been live for six months, organisation-wide adoption of MapHub slowed because the geospatial team could not rapidly modify and update data. To solve this, Traverse audited, remodeled and redeployed MapHub’s entire system of record. This streamlined strong change control process and enhanced the team’s agile approach. Since going live in late 2014, MapHub has been a cornerstone for data driven decisions that have lead to better transport and community outcomes. With Traverses support, the Geospatial team and their vendor panel have been able to identify and address the agencies most strategic, complex and knarliest problems. Problems where the need to think differently is essential and the power of location most valuable. Improved customer and stakeholder satisfaction by making their jobs easier. 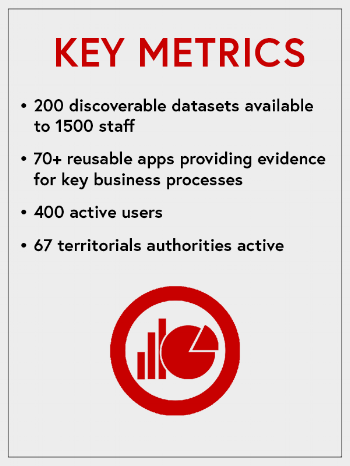 With over 400 staff regularly using MapHub as the on place to see data from across the agency. NZTA have been recognised at the NZ Spatial Excellence Awards for their efforts and Traverse are immensely proud to partner in their ongoing success.